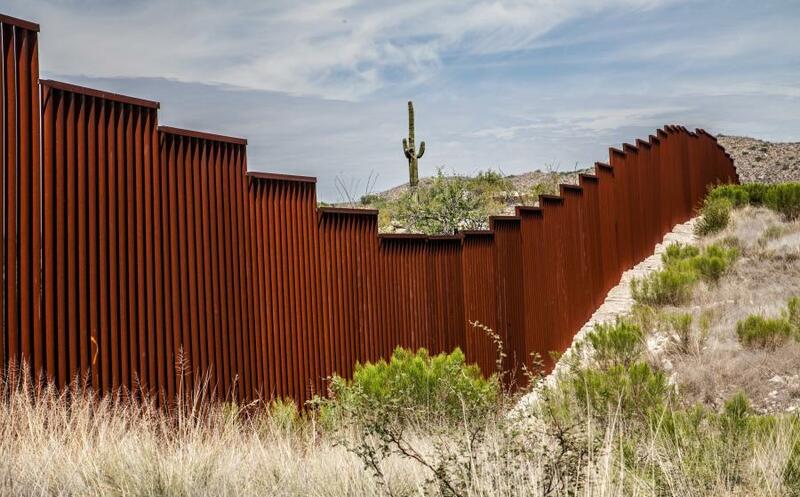 CBP continues to implement President Trump’s Executive Order 13767 and continues to take steps to expeditiously plan, design and construct a physical wall using appropriate materials and technology to most effectively achieve operational control of the southern border. U.S. Customs and Border Protection (CBP), in partnership with the U.S. Army Corps of Engineers (USACE), has awarded a contract to construct up to 14 miles of secondary wall and up to 15 miles of primary pedestrian replacement wall in California within the U.S. Border Patrol's (USBP) San Diego, Yuma and El Centro Sectors. The contract was awarded on December 20, 2018 to SLSCO Ltd. using CBP's Fiscal Year (FY) 2018 appropriations. The total contract value, including options, is approximately $287 million. Construction for the San Diego secondary is anticipated to begin in February 2019 and construction for the primary pedestrian replacement wall is anticipated to begin in July 2019. The contract award includes approximately $156 million for the primary pedestrian replacement wall project, including approximately $68 million in the contract base and approximately $88 million in unawarded options. The primary pedestrian replacement wall project will include replacement of various outdated designs with new 30 ft. tall steel bollard wall. The approximately 15 miles supported in the contract base and options include approximately 11 miles in Calexico, approximately three miles in Tecate, and approximately one mile in Andrade, Calif. These locations represent the top operational priorities for replacement for the USBP and will improve each respective Sector's ability to impede and deny illegal border crossings and the drug and human smuggling activities of transnational criminal organizations. The contract award includes approximately $131 million for the secondary wall project, including approximately $101 million in the contract base and approximately $30 million in unawarded options. The secondary wall project will include the replacement of existing secondary barrier with a 30-ft.-tall steel bollard wall. This project is adjacent to the San Diego primary fence replacement project that is currently under construction. These two barriers, in combination with a patrol road and technology, create an enforcement zone for the USBP as part of the border wall system. Given the high-density population in San Diego-Tijuana urban area, the stronger infrastructure is critically important. CBP continues to implement President Trump's Executive Order 13767 – also known as Border Security and Immigration Enforcement Improvements – and continues to take steps to expeditiously plan, design and construct a physical wall using appropriate materials and technology to most effectively achieve operational control of the southern border.